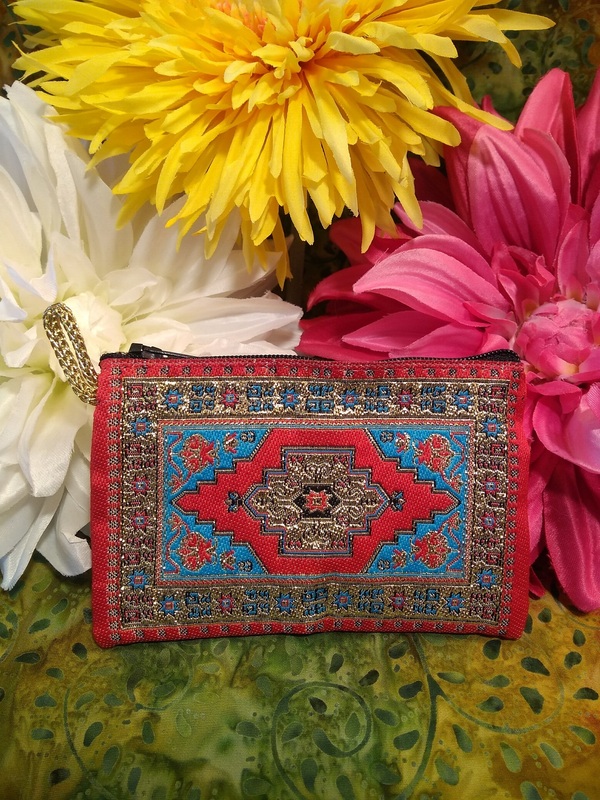 Red and blue cloth with black and gold highlights decorate this zippered bag. 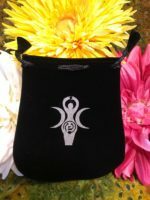 Bag is fully zippered, lined inside with black material and has a gold cord woven loop. 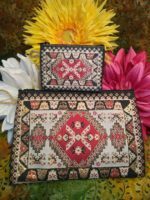 Pattern is repeated on both sides of the bag. Bag measures 3″ x 4″, perfect for pendulums, crystals and other smaller items.